A graduate from the Institut d’Etudes Politiques de Paris, Christophe Laval, Adm.A., CRP, also holds a Bachelor of law from Université Paris I Panthéon, Sorbonne. 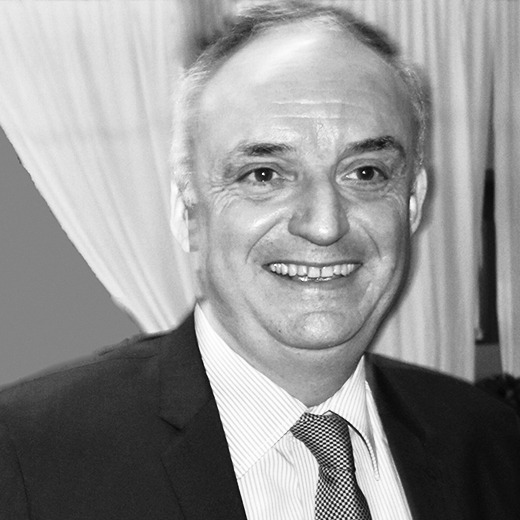 Christophe began his professional career in 1985 with the Schlumberger Group, holding several HR titles to become the HRD Europe, for the Water and Energy Division. From 1994 to 1996, Christophe was the HR Director of Quaker Oats France. In 1996, he joined Yoplait, # 2 worldwide leaders of fresh dairy products, contributing to the internationalization of the Group as the HR and Communication VP. In June 2001, he joined the Compass Group, a global market food provider as the HR Director, Western Europe (34,000 employees). He redefined the HR strategic plan and implemented a new corporate project based on employees’ recognition. He became CEO of the Compass Group France – Healthcare and Education, a French subsidiary of the group for the school and hospital food service (Revenue of 460M euros and 7500 employees). He was later promoted to VP HR of Compass Group Europe (100,000 employees). In Early 2006, Christophe was appointed CEO by the board of Entreprise & Personnel, an HR association of 150 major corporations (half of which are listed on the CAC 40 index) totalling 2,5 million employees. Christophe was the first European to receive the Recognition Professionals International certification, he is also recognized as a “trainer’s coach in recognition at work” at Laval University CGSST (Quebec). He published in 2011 the second edition of « A plea for Recognition in the Workplace » and contributed in 2012 to the Canadian collective book “Mobilization of individuals in the workplace” under the direction of Michel Tremblay. In 2018, he co-authored with Canadian Professor Jean-Pierre Brun the book “The Power of Recognition in the Workplace”. Since 2007, Christophe is a regular speaker at the Ordre of CRHA congress in Québec. Since 2009, Christophe is the founding President of VPHR (Vision Performance Human Recognition), an international firm supporting organizations in the implementation and overall steering of recognition policies. After completing a 3-year term as a member of the Board of Directors of Recognition Professionals International (USA), he has been from 2011 to 2016 a member of the Board of Directors of Rideau Recognition Solutions (Canada). He has also been a Lecturer (Executive education) for HEC Montreal (2014-2018).